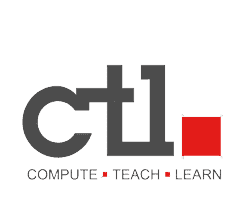 I ordered chrome licensing but where are they? When you place an order for Google Chrome Management Licenses it can take 24 hours for those to show up to your account. You will receive an email from enterprise-operations@google.com with the PO number and Reseller PO number. Just like the image below. Google support will quicly be able to help you if you have any issues or you think the licenses haven't shown up yet. 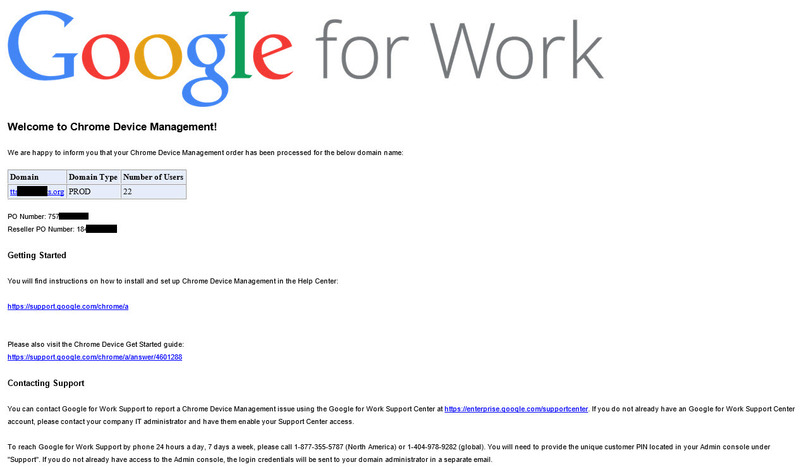 You can contact Google for Work Support to report a Chrome Device Management issue using the Google for Work Support Center at https://enterprise.google.com/supportcenter. 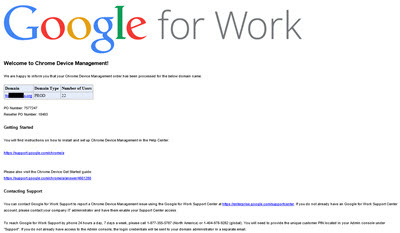 If you do not already have an Google for Work Support Center account, please contact your company IT administrator and have them enable your Support Center access. To reach Google for Work Support by phone 24 hours a day, 7 days a week, please call 1-877-355-5787 (North America) or 1-404-978-9282 (global). You will need to provide the unique customer PIN located in your Admin console under "Support". If you do not already have access to the Admin console, the login credentials will be sent to your domain administrator in a separate email.